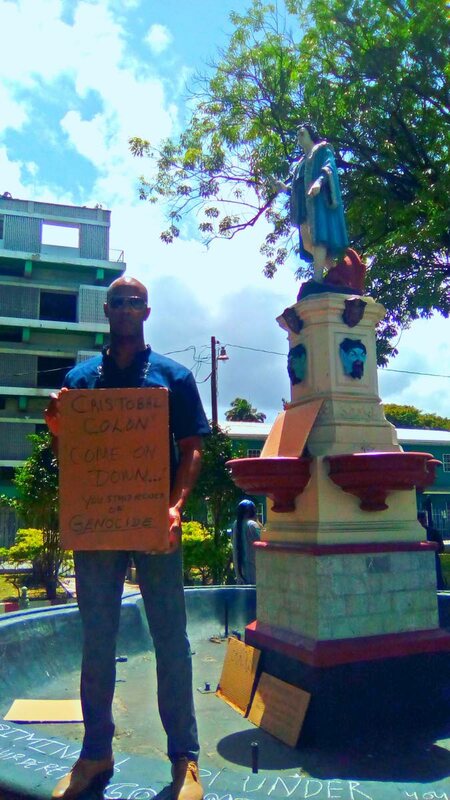 Days after the statue of Christopher Columbus in East Port of Spain was defaced, director and coordinator of the Cross Rhodes Freedom Project Shabaka Kambon has distanced the organisation and himself by denouncing the act and criticising the perpetrators. Kambon delivered a letter requesting the removal of Columbus’ statue in Port of Spain to Deputy Mayor Hillan Morean at City Hall. He said that while the statue continues to serve as a reminder to TT’s colonial past, he was not pleased with its desecration. 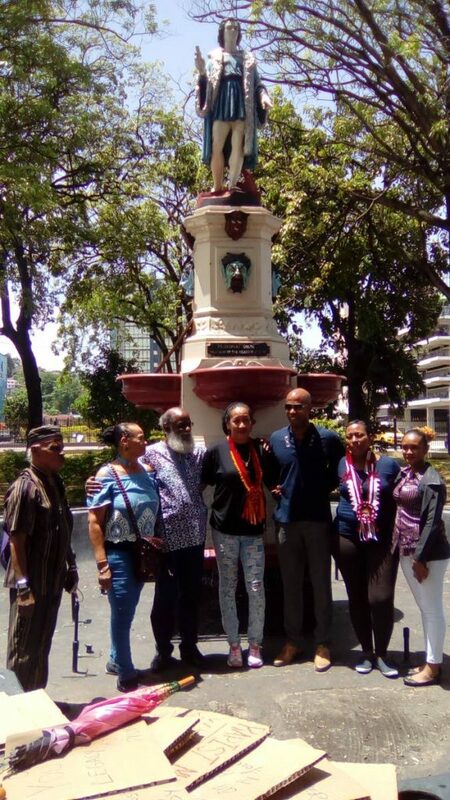 Kambon who has long advocated a revisionist approach to Trinidad’s culture and history, says that the removal of the statue would mark a step forward for Port of Spain as it remains a monument to the genocide of TT’s first peoples and an insult to their ancestors. He called on leaders and academics to rally behind the call for revisionism and end the white-washing of history. Morean spoke to reporters, after receiving the letter, that he welcomed calls from all groups who may seek to improve the state of Port of Spain and he intends to present the letter to the city council’s planning and development committee. “We want to wish the First Peoples all the best as we celebrate on Friday (today), I would like to thank the Cross Rhodes Freedom Project, the Council is always appreciative of any proposals from the public. This will be taken before the council as soon as tomorrow during a meeting with our planning and development committee,” Morean said. Morean also invited the project to bring forth ideas that would uplift Port of Spain and said that recent initiatives such as the renaming of Queen Street, have yielded positive results and looked forward to additional projects. Reply to "Kambon denounces Columbus statue defacing"